On November 28, 2013, the Egg Harbor Township Police Department responded to a pedestrian motor vehicle crash that occurred at approximately 10:30 pm on the Black Horse Pike at English Creek Avenue, in the Cardiff section of the township. A 2005 Dodge Pickup operated by Michael Mitchell, 47 years of age from Williamstown, was making a left turn from South bound English Creek Avenue to eastbound Black Horse Pike when it left the roadway, struck the curb and then hit a pedestrian, Phillip Love, 31 years of age from Philadelphia Pennsylvania, was waiting at the bus stop when he was struck. Mitchell’s vehicle became disabled a short distance from the scene of the crash. Love suffered possible serious injury and was treated at the scene by members of the Egg Harbor Township Ambulance Squad and Atlanticare Paramedics. Love was transported to the AtlantiCare Regional Medical Center City Campus trauma center. 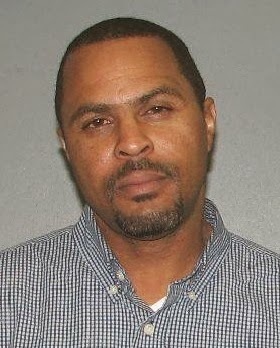 Mitchell was taken into custody and charged with assault by auto, driving while intoxicated, leaving the scene of an accident and other motor vehicle charges. Bail was set by Municipal Court Judge H. R. Switzer at $2500.00 full and Mitchell was lodged in the Atlantic County Justice Facility. The crash is being investigated by Officer Curt Ware of the Egg Harbor Township Police Department.